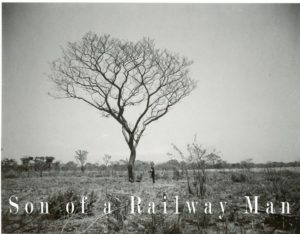 Casapo has been travelling by railway along with his father throughout the African continent since he was a little child. There he first heard the beat of the rolling engine. That was when he learned how to play music on trains. With the help of his older sister, the only other survivor from his family of 8 brothers and sisters, he crosses the vast land of Zambia, to attend his father's burial which takes place down south in Kafulafuta. This is the town where he was born, a town that was once alive with trains passing daily and now is quiet as a tomb. Why Zambian Film Industry has taken long to take off by Kevin Musonda. Times of Zambia, Foward with the Nation (January 30th 2014). Web.